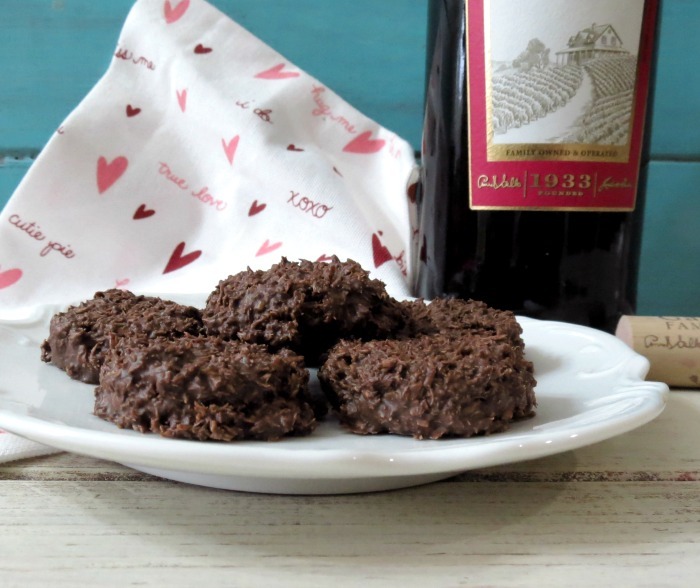 Nothing says love for Valentine’s Day than chocolate and wine. 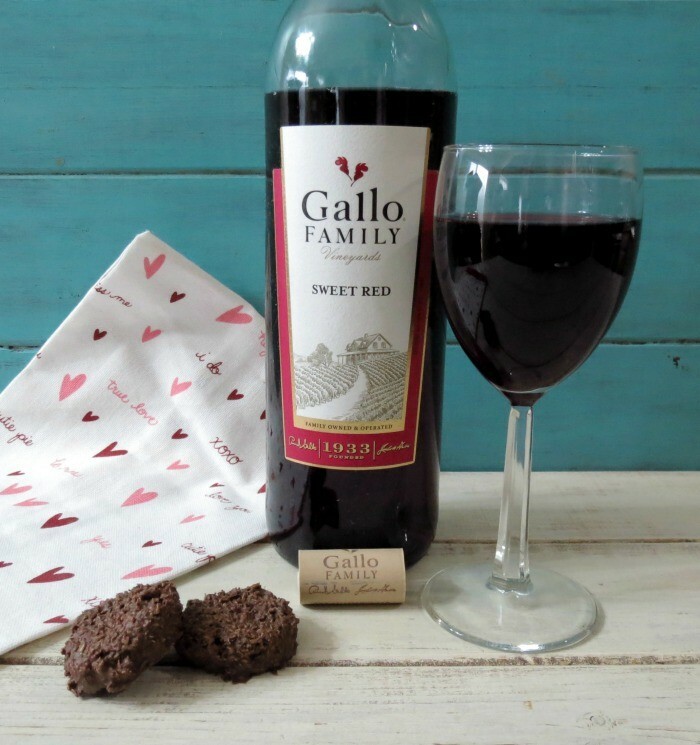 Today #SundaySupper teamed up with Gallo Family Vineyards to share with you Valentine’s Day wine pairings. I just love wine and chocolate together, it’s one of my favorite indulgences and I truly think it is romantic. 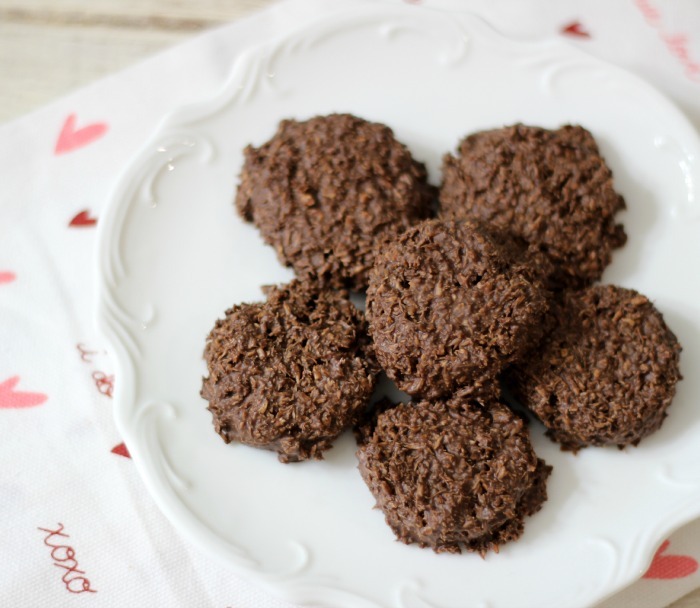 So today I whipped up one of my favorite chocolate candies to share with you, Chocolate Coconut Haystacks. These little chocolates are made with two ingredients, dark chocolate melting wafers and unsweetened coconut. They are rich, sweet, delicious and would please any coconut lover. Plus not only are they delicious and simply adorable, they are a breeze to make. 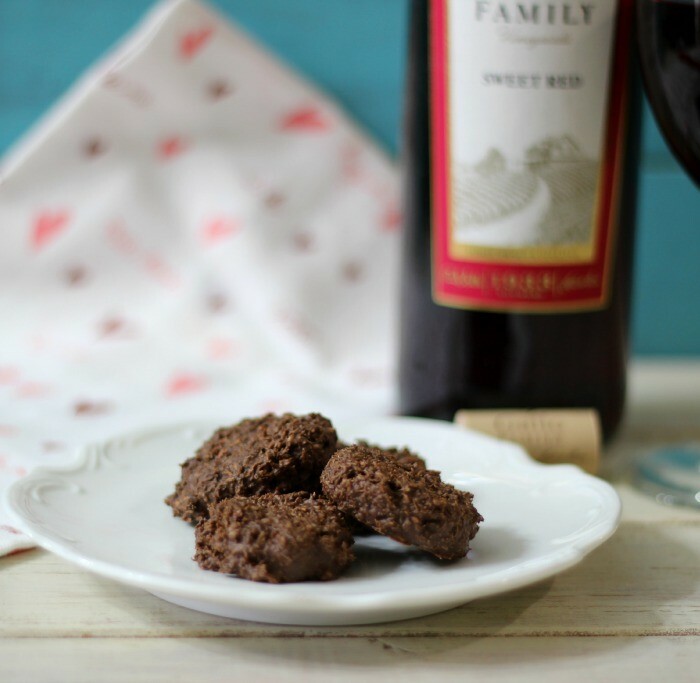 I paired my delicious little chocolate gems with Gallo Family Vineyards Sweet Red Wine. 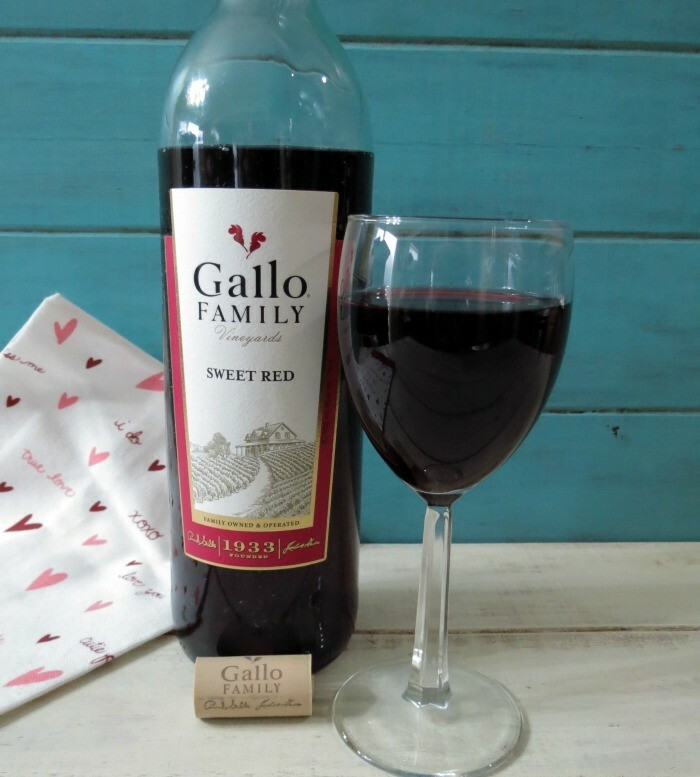 Gallo Family Vineyards Sweet Red Wine is bursting with flavors of red fruit, black cherry and raspberry jam. A perfect complement to chocolate. The wine is medium body and sweet. I love sweet wine, it is my favorite. To make the chocolates I lightly toasted my coconut in the oven and then melted my chocolate in the microwave. Just add the coconut and mix well. I used a cookie scoop to make them even in size and just slightly padded them down with my finger. They turned out fantastic and only take about 15 minutes to make including toasting the coconut. Another wine that would pair well with my haystacks would be Gallo Family Vineyards Riesling. 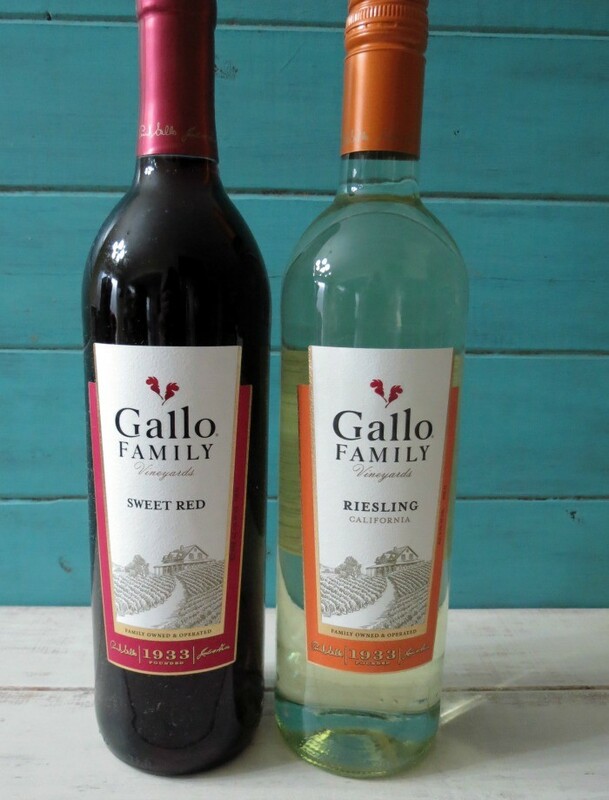 Gallo Family Vineyards Riesling has whispers of honeysuckle, juicy peach and ripe citrus notes. Such a nice light, sweet wine. One of my favorites. An easy to make chocolate candy made with dark chocolate and coconut. Perfect for gift giving. Add coconut to a baking pan and bake for 5 minutes, flipping every 2 minutes until coconut is lightly toasted. Set aside. In a microwave safe bowl, add chocolate. Melt in microwave for 30 seconds, stir, place back in microwave and cook for 30 more seconds, stir. Cook for 15 second intervals, stirring in between each interval until chocolate is melted. Stir in coconut. With a cookie scoop, scoop out candy and place on prepared baking sheet. I used my fingers to shape and pat down a little. Let cool completely. Do you have any plans for Valentine’s Day? It’s pretty nice that it is on a Saturday this year, so that means from morning to night you can have the most romantic day ever. I am unsure what our plans are, but I do know whatever we do, will be fun. So this Valentine’s Day, why not show the one you love with homemade chocolate and a bottle of wine? Looking for more Valentine’s Day recipe? You should check out Gallo Family Vineyards Valentine’s Day blog post. Just go here. You can find more information on Gallo Family Vineyards Wines here. You can also check out Gallo Family Vineyards website for their wine varieties and some great recipes. Be sure to check out what the #SundaySupper crew has made for their Valentine’s Day wine pairings. I love this easy recipe—I’d get my coconut AND chocolate fix in every delicious bite! Thank you Liz! I love how simple it is too! A box of these homemade chocolates sure would be a wonderful gift from the heart for Valentine’s Day. Ahhhhh that is so sweet Renee! Chocolate and wine are the perfect combo! Especially for Valentine’s! Love this easy recipe!! I love easy recipes that come out so darn great, just like these coconut haystacks. I love this. I love desserts like this that are so, so easy to make and so, so good!! Your definitely correct in saying that chocolate and wine is the perfect thing for Valentine’s! 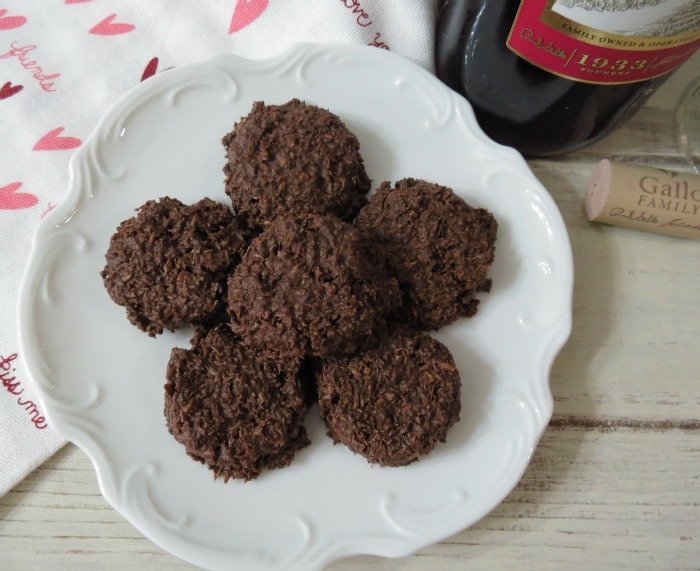 These delicious haystacks are seriously all I am craving right now too – they look awesome.. I love that these are so easy and healthy and have two of my favorite flavors! Yum! I love that you toasted the coconut before mixing it with that delicious chocolate! 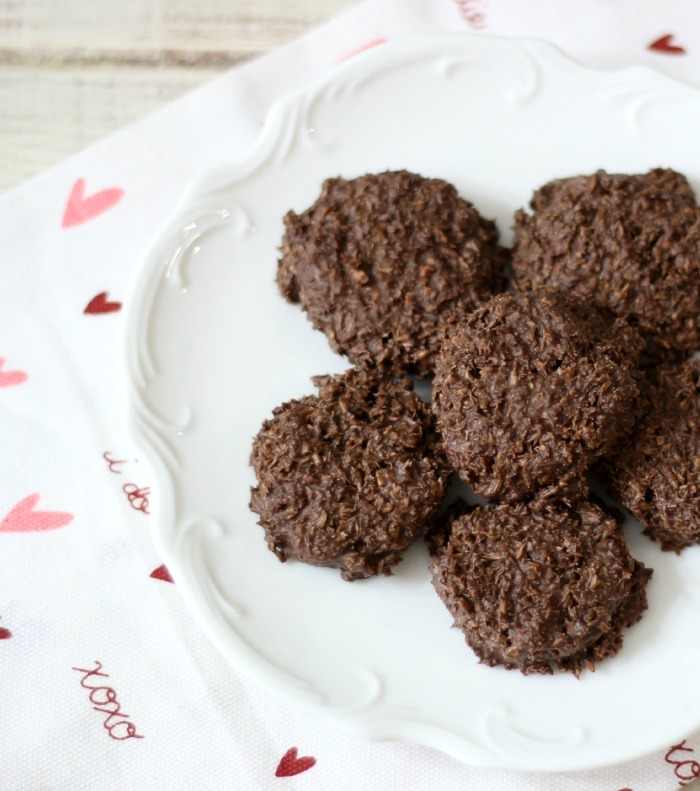 Chocolate and coconut are my absolute favorite…this looks so tasty! Thank you so much! Chocolate and Coconut are one of my favorites too! I am hoping that when I open my mail box that there will be some of these waiting for me. Yes? Thank you Brianne! It’s amazing how simple it is. Chocolate and wine! I don’t think there is anything better! I agree! I love chocolate and wine together! It’s so romantic!